A beautiful box arrived on my doorstep earlier this week! If you follow my story on Instagram, you probably already know that this box was filled with 'rocks'...jewelry, that is. I have always heard amazing things about Rocksbox from friends, but I wanted to see it to believe it. So I signed up for Rocksbox, filled out the quick 3 minute personal style survey, and eagerly awaited the 3 pieces of jewelry their stylists would send me to wear this month. 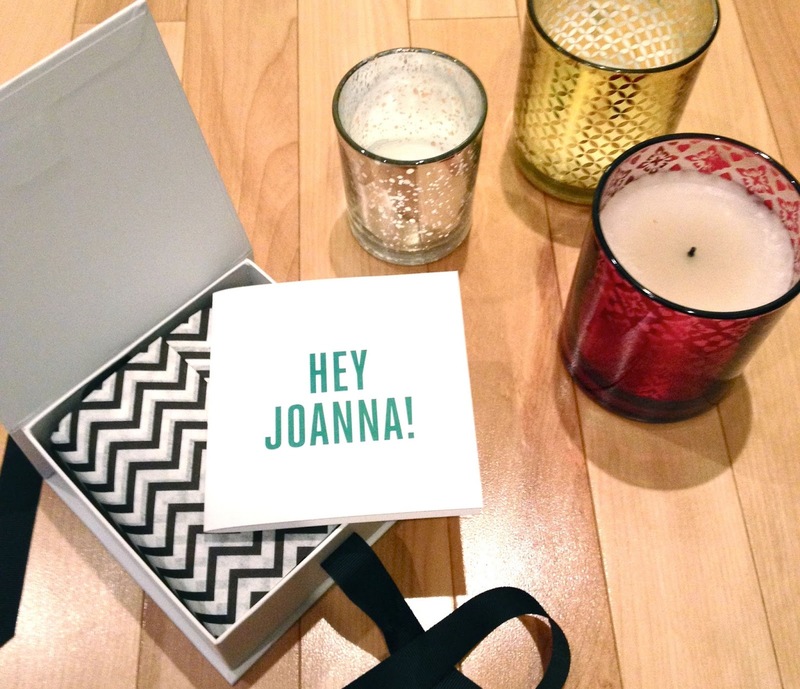 When I opened the package, I was already giddy with excitement because of the beautiful box holding my jewelry. Then I untied the bow which unveiled a note for me with 3 pretty pieces & a special gift for me to keep! And I have a gift for YOU! Get 1 month membership FREE with code "joannaxoxo"! No strings attached! But the offer ends 4/31/15 so be sure to sign up ASAP!! When it comes time to choose whether to return the pieces or buy some of them at the special 20% off members price, I know I'll have a tough time. 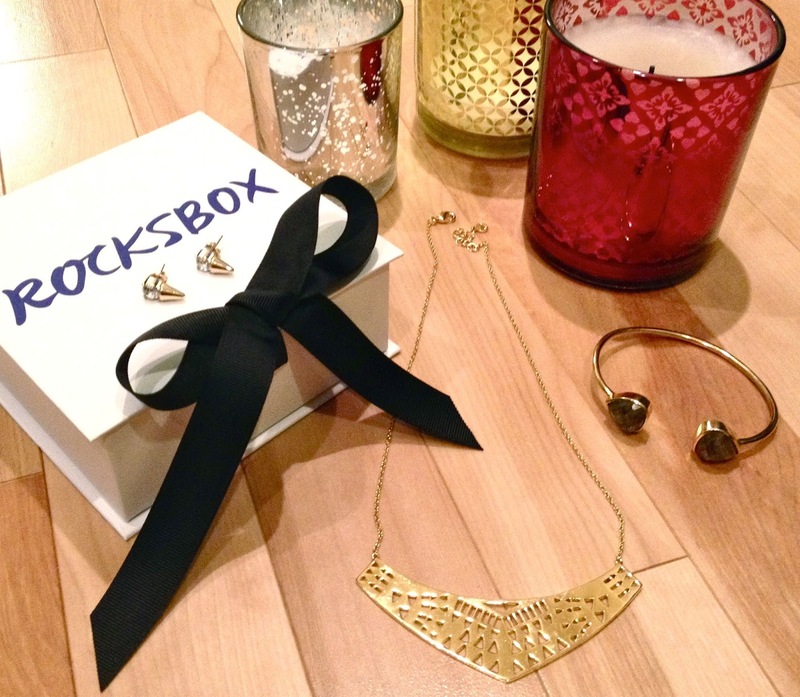 But I'm looking forward to what the Rocksbox stylists choose for me next month! I love that you also get to create a wish list of pieces that catch your eye on the site. So we shall see if any of them turn up on my doorstep in a few weeks! Stay tuned! 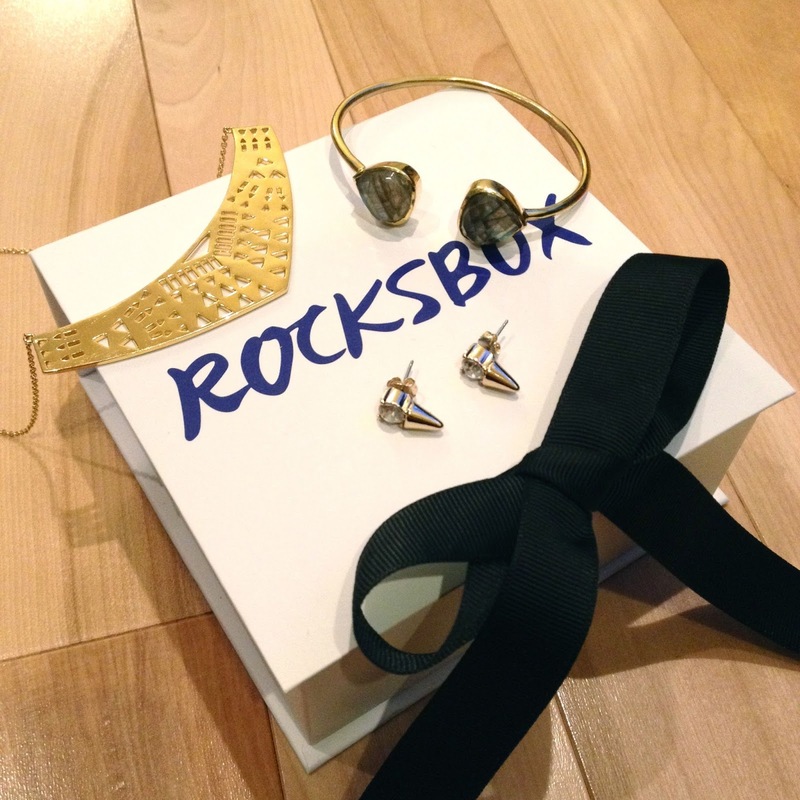 Special thanks to Rocksbox for sponsoring this post. The opinions expressed here are my own and are not indicative of Rocksbox. I have been tempted to sign up for this service. Seeing it all over IG and blogging world has me tempted.